This strawberry probiotic smoothie is one of my family’s favourites. 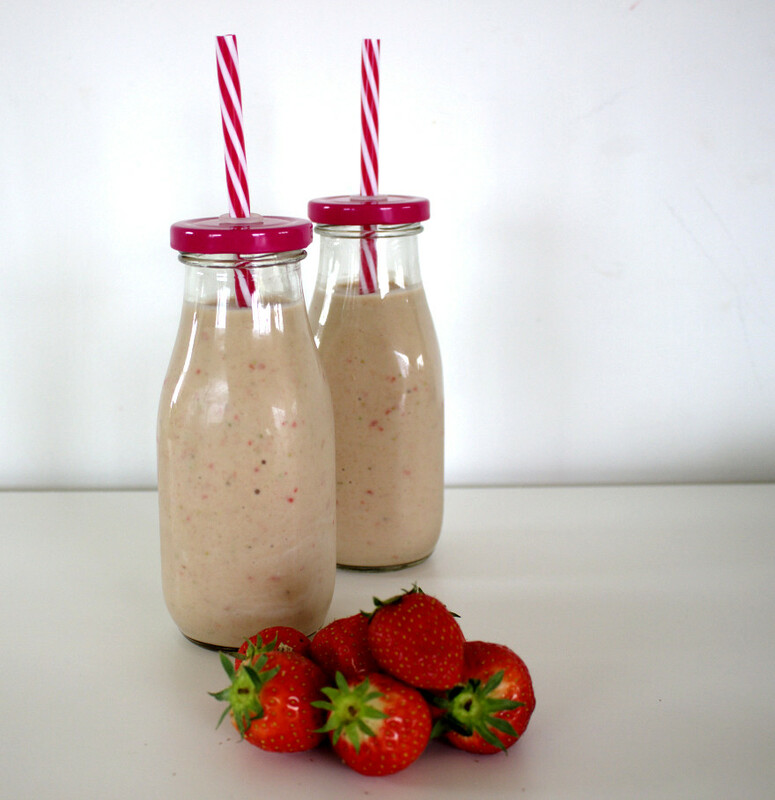 We eat as seasonally as possible so finding ourselves with an abundance of strawberries at the moments means lots of delicious smoothies. Strawberries pack a real punch when it comes to flavour and nutritional value. Surprisingly, they contain more vitamin C than oranges per cup. SCD probiotic yoghurt is one of my favourite aspects of the Specific Carbohydrate Diet. It can be daunting at first to make it but opens up a world of possibilities in terms of recipes once mastered. That, coupled with its gut-healing power makes it quite a marvel. I make my SCD yoghurt with goat’s milk instead of cow’s milk but my starter is a cow’s milk starter. It’s fair to say that although I am lactose intolerant, I do tolerate dairy well. It took some time though. SCD yoghurt is a powerful probiotic that must be gradually introduce. This is to ensure that the gut tolerates it well. You can see my detailed instructions on how to make SCD yoghurt here. If you are following SCD and you absolutely cannot tolerate dairy, you should invest in a good probiotic instead and substitute the yoghurt for almond or coconut milk. To see how I freeze bananas for smoothies, click here. 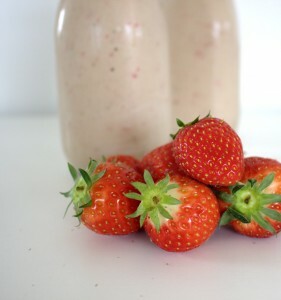 A delicious, probiotic smoothie packed with vitamins and good bacteria to heal the gut. Suitable for the Specific Carbohydrate Diet (SCD).